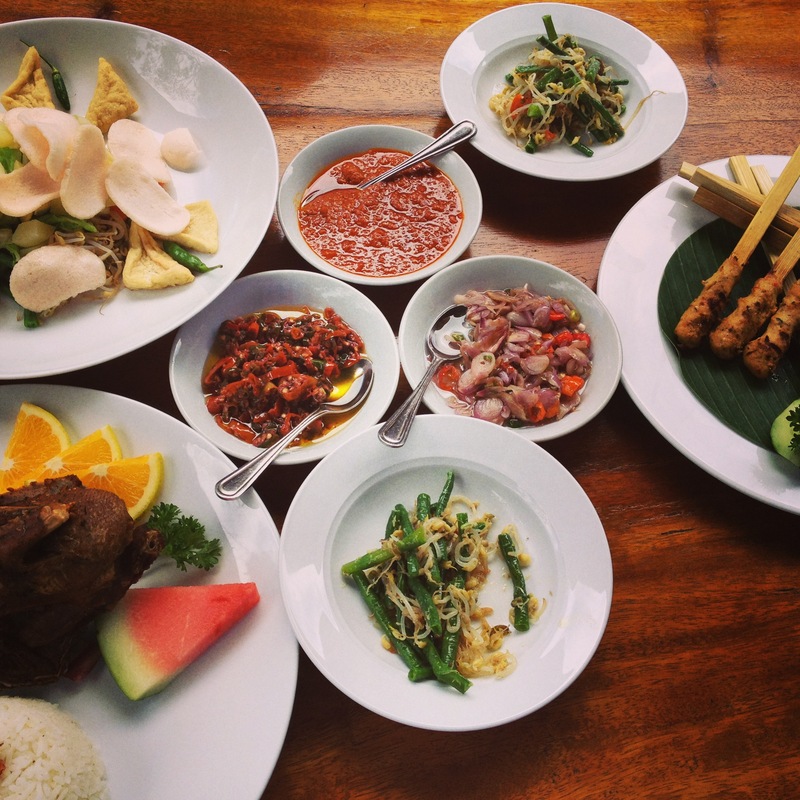 With 6,000 islands, there are many regional specialties, but wherever you are in Indonesia, most meals, including breakfast, are based around rice. Literally meaning “fried rice”, nasi goreng is considered the national dish of Indonesia and can be found everywhere from street hawkers carts to dinner parties or restaurants. It is a meal of stir-fried rice spiced with kecap manis (sweet soy sauce), shallot, garlic, tamarind and chili and accompanied by other ingredients, mainly egg, chicken, prawns or salted dried fish. Sambals are also a cornerstone of the cuisine and these chili-based condiments may be either freshly made or store-bought. There are many types of sambals, all of which combine a variety of chili peppers with different combinations of spices, fruits or vegetables. Indonesians believe in giving a “kick start” to their palate with the heat of chilli and the sour crunch of pickles, so meals generally comprise rice, sambal and pickles with small amounts of meats, seafood or vegetables, often in curry form. People eat either with their right hand or with a spoon and fork. Some of the intense flavour in Indonesian food comes from very sweet and sour ingredients – such as the thick sweet soy sauce called kecap manis, which is used in countless dishes. The sour notes in the cuisine come from tamarind and lime and the aromatics from shallots, ginger, galangal, pandan, turmeric, lemongrass and lime leaves. Two foods adored by Indonesians are tempeh – fermented soybeans usually found in block form that are high in protein and fibre – and krupuk, or deep fried crackers, made from prawn, seafood or vegetables, which are eaten at the start of a meal. Because of the humid climate and volcanic soil, tropical fruits, vegetables and spices are found in abundance. Dried spices such as coriander seeds, cardamom pods, cinnamon quills, cumin seeds, cloves and nutmeg are used every day in many dishes and each curry has a number of dried spices as well as fresh herbs. Desserts are some of the most exuberant in South East Asia, especially the favourite “eis cendol” which features shaved ice, tropical fruit, coconut milk and pandan flavoured “worms” made from mung bean flour.